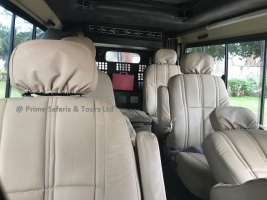 Home>>Uganda Safari News>>Why people have chosen to hire our safari vehicles/cars! Wondering how to get around for adventure! No need to worry, we’ve got you covered. Traveling to the most fascinating Uganda safari destinations is more convenient using a 4×4 safari Land cruiser for hire in Uganda because of the terrain. 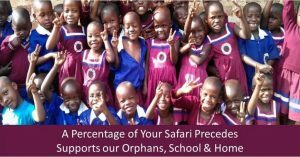 What makes our car hire Uganda rental services special? Safety first! Our Uganda safari/field vehicles are well equipped with first aid boxes and fire extinguishers in case anything happens on your trip/safari/tour. We bring our hired car to the destination of your choice. Do you want it at the airport? At your home? We always make our clients comfortable by delivering the car. Our vehicles are efficiently main tained, inspected and serviced regularly after every trip. This is regularly done to transport all our clients and tourists from their various locations. Our safari cars have charging inverters so your phone battery or camera battery should not be your worry. Our vehicles have been inspected by SGS therefore quality I guaranteed. We always stick the SGS sticker on the vehicle. We also rent out self-drive car rentals in Uganda and Rwanda enabling you enjoy the convenience of moving at your own pace. For more convenience, we give you our phone contacts and email address so as to remain accessible in case of need. 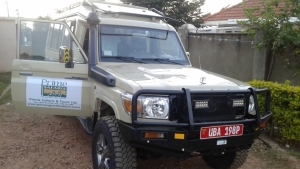 Prime safaris & Tours Ltd cars for hire in Uganda Rwanda include additional benefits like breakdown assistance in case of any occurrence plus comprehensive insurance. Our cars have luggage spaces in the boot and racks on the safari vans so that our clients don’t have to sit in discomfort. We offer the best discounted price quotes whether for Uganda safari trips or personal business self-drive Uganda tours within Uganda or Rwanda and have the best of comfort during a thrilling Uganda safari. Give us the chance to serve you and you wont regret!